AJB Sports in Education are proud to work in education. We believe in the future development of all children and the importance that sport has for their physical, psychological and social growth. Sports games and PE lessons are so much more than just a chance to show that you are the best or the fastest in class. We see sport as this amazing vessel and opportunity for children of all levels, interests and abilities to develop future life skills that are transferable to all walks of life and situations. Sport and PE intrinsically teaches teamwork, leadership and communication, to name just a few – all skills needed throughout our adult lives and across so many situations. 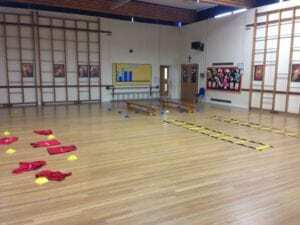 However, here at AJB Sports in Education we also use our Sport and PE lessons to give children an invaluable chance to try things, be creative, fail, succeed and learn. When taught with our ethos, these lessons provide children with the platform and environment where they feel confident to try things, make mistakes, try again, and ultimately learn and grow as a person and individual. AJB Sports in Education will provide high quality specialists for children aged 4 – 12 during Term Time. We pride ourselves in running high quality, fun, creative; child led and structured National Curriculum Sessions. Our Qualified, Enthusiastic and DBS checked staff will provide cost effective and organised session cover for students. Our sessions will ignite creativity, leadership, teamwork and a passion for sports. We tailor our sessions to your school needs and differentiate our material so all children are challenged at their level of ability and interests and, importantly, leave with a smile on their faces.